Some have expressed surprise at my planning a spring hike this year, so soon after my second knee replacement. (4&1/2 months) I did not schedule a spring hike after my first knee replacement. Perhaps that was more wise. But maybe not – time will tell. Once upon a time I heard a Doc say it was impossible to tell the length of time necessary to recover from a total knee replacement. Perhaps someone could recover in two months. I thought then, well, that someone should be me. Nope. It does take more time than two months. But rehabbing a knee sometimes runs contrary to popular wisdom. Sitting and standing are both the worst things for me and my knee. The knee wants to keep moving or it stiffens up and hurts. Repetitive motion is the key. Yes, one does have to work to retrain muscles and nerves. They don’t just automatically heal up and work as before. A knee replacement is a lot of trauma and cells don’t remember their function automatically. Retraining is not just a matter of time. It is also a matter of work. But yes, of course, one can overdo it. Too much work at any given stage can set the knee back in recovery. It is a fine line to find the maximum work for optimum recovery in the shortest time without doing too much and setting back recovery. Now I am chasing grandchildren for a different kind of therapy and the knee continues it’s rehab. 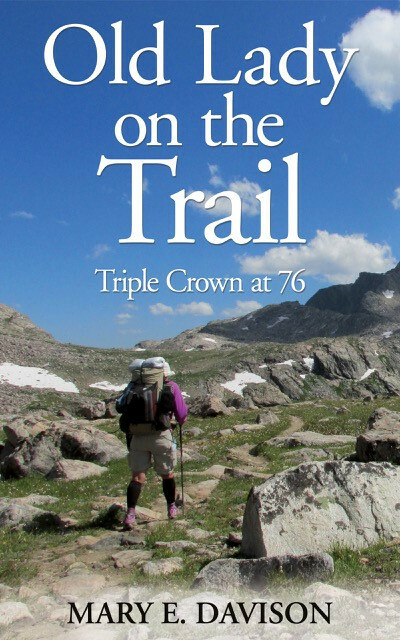 A note to those who are following me on this website: Once I am on trail I will be writing on Trailjournals.com and will not post on this website until sometime after June 4. To follow me, just go to Trailjournals.com and post Medicare Pastor on line for hiker name. Click American Discovery Trail 2019 for my daily posts if you would like to read them. Receive newsletters, summaries of recent hikes, interviews, and events by email.